Staffing an experienced Pennsylvania Court Reporter can be a large time sink. Incorporating research, vetting prospective candidates, and following up on referrals will quickly fill your already tight schedule. Let Discovery Litigation Services find the best court reporter for your deposition anywhere in Pennsylvania. Discovery employs a national network of quality video-enabled streaming court reporters, to bring you the most capable professional for the job wherever your deposition will be. Discovery Litigation Services will open your world to the best Pennsylvania court reporters and legal solutions you require for a smooth deposition. Discovery Litigation Services Has 20+ Years Of Experience To Pass On To You. From booking a meeting room, finding your Pennsylvania court reporter, and legal videography services to alternate dispute resolution, we offer many solutions that can work in unison to ease your schedule so you can concentrate on your case. We know the significance of doing it right the first time. We will go well beyond the rest, to satisfy your requirements. Discovery Litigation Services legal videographers deliver solutions that result in a more compelling video. Utilizing the latest technology, we bring trial technologies into the deposition arena. Highlight and annotate documents live in a deposition. Play back videos or computer animations to the deponent. All of this is simultaneously captured in a picture-in-picture mode showing both the deponent and the demonstrative evidence of your choice. This results in a video deliverable that is much more highly engaging to the viewer than the traditional video framing. Combine this picture-in-picture technology with our streaming capabilities, and you can have viewers anywhere in the world monitoring the deposition while being able to see the documents that are being shared with the deponent. If there is a need to stream the videotaped deposition anywhere in the world, we utilize several platforms to achieve this. We match the right platform to meet your needs and budget. Discovery Litigation Services offers a unique approach to corporate services, providing cost savings to the corporate client while at the same time providing the highest level of service to their counsel that is managing their case. Discovery Corporate Services provides online real-time reporting, providing deposition cost analytics. We guarantee clear invoicing through e-billing platforms to make sure you don't pay for products you don't want or need. Discovery Litigation Services acts in close coordination with your law firms to ensure their needs are met. Cost savings should not mean sacrificing quality. Discovery Litigation Services has unique tools that provide visibility into our service levels. Discovery Litigation Services has the ability to provide professional Pennsylvania legal interpreters for your deposition needs. Our Pennsylvania legal deposition interpreters are experienced in the deposition and courtroom settings. 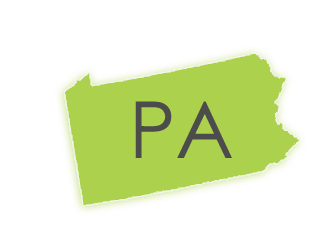 We provide a multitude of languages through our Pennsylvania interpreters as well as nationwide. All Discovery Litigation Services products are provided in trail ready format, saving our clients time and money as they prepare for a presentation of their case. Discovery Litigation Services also provides courtroom consultants who have the experience and knowledge to work with our clients to create a compelling multimedia presentation.